Housing materials are high strength gray cast iron and nodular cast iron. Integral medium and small housing results in good durability and shock absorption ability, and improves shaft strength and bearing lifetime. Meanwhile, streamline design of casting housing and internal noise absorbing layout make easy cooling of fan and great reduction of noise. Aluminum die-cast housing with attractive outlook, light weight and good heart dissipation ability. Welded housing adopted in small batch production and large housing. 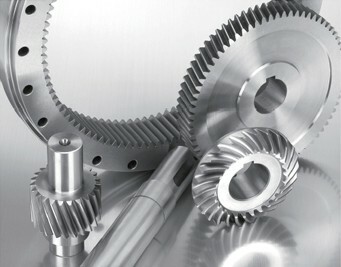 Gears, pinions and bevel gears are made of high grade alloy with carbonize-harden technology. Hardness of teeth surface reaches as high as 58-62HRC, grinding precision reaching class 5-6 and even class 3 if required. With teeth profile and lead modified, the noise is greatly reduced and the load capacity is largely improved. The roots of heavy duty gears are specialty processed in further enhance its load capacity. Bronze allot and spun casting in worm wheel guarantee its strength and wear resisting property, thus improves its lifetime. High grade alloy and carbonize-harden technology from worm, and the hardness of surface reaches as high as 45-50HRC. High nitrogenous technology for tooth surface, the hardness of surface reaches as high as 500-550 HV, design is optimized and efficiency is improved. The friction pairs adopt wear-resistant bearing steel. Shafts are made of alloy via hear treatment. 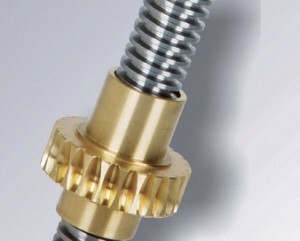 Standard accessories such as bearings and oil seals are provided by international or national famous brands. Good assembly environment, standardized assembly technology, 100% strict quality as assurance inspection and regular type test.